You are here: Home / Auctioneers / [Video] Should you promote the benefit auctioneer? 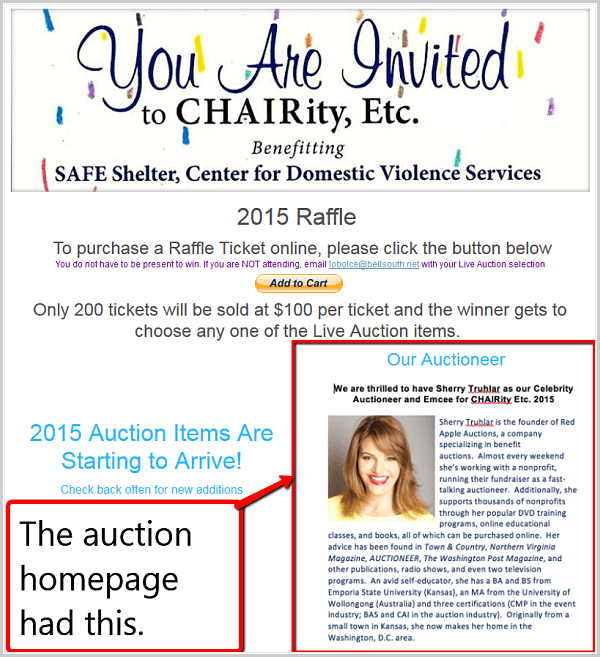 [Video] Should you promote the benefit auctioneer? Yesterday I received this question from a client. How does that approach strike you? 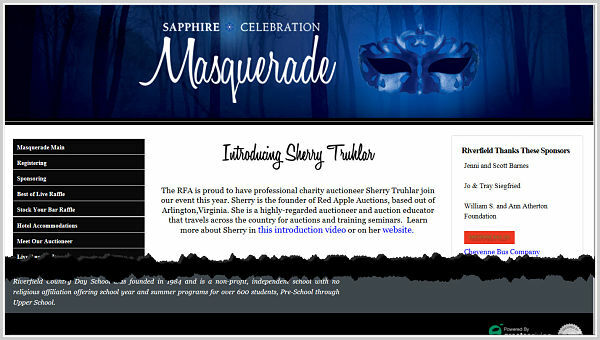 If you’ve hired a benefit auctioneer whom you’re excited to host, let the world know. When we think about key personnel involved in creating a positive experience for guests, an entertaining auctioneer is right at the top. 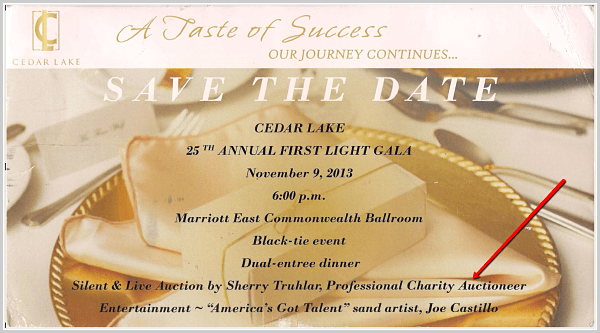 An auctioneer can help brand your gala, bringing good attention to your nonprofit. When the auction is great, guests can’t stop talking about it. “It was so much fun!” they’ll share. Many auction guests attend three auctions annually. They know good auctioneers from mediocre ones because they can compare them. Your smart hiring decision could make the difference between a guest attending or not. Too many years of sitting through painful auctions, and even the most loyal donors will find something else to do. In crisis situations, such as when I’ve been hired to revive a dying auction gala, revealing the change in auctioneers to your supporters is also advisable. Let them know you’re working to improve. To see some of the examples I mentioned in the video, here are the materials. I didn’t realize this client was going to feature me until I got this Save the Date in the mail. This group had me record a special video to welcome their guests and introduce myself. 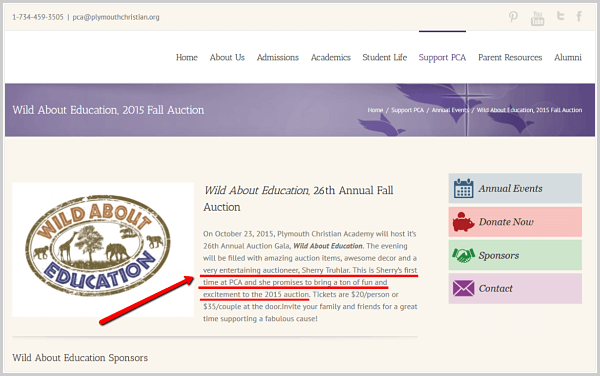 A Michigan school had several mentions of their auctioneer in different marketing materials.